When Johns-Manville (J-M) built their Marrero, Louisiana plant to manufacture asbestos-based products in the 1930s, the company already knew that asbestos posed a health risk. Through ads and other marketing, however, it was touted as a significant asset to the community. That asset turned into significant health issues as, over the decades, workers from the J-M plant have experienced asbestos-related diseases such as malignant mesothelioma and lung cancer from dust they inhaled while working. These life-threatening diseases often take multiple decades before symptoms are seen and a diagnosis is made. In addition to the workers, local citizens and family members of workers have developed these serious, and often deadly, diseases. Of the many asbestos-laden products manufactured at the Marerro plant, one of the earliest was asbestos pipes. 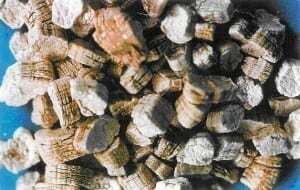 In the process of manufacture, both crocidolite and amosite asbestos were used. Tragically, workers carried fibers home through wearing contaminated clothing while in their cars, hugging and playing with children when they arrived home and laundering these work clothes at home, usually by the wife. The minuscule asbestos fibers became airborne when touched or disturbed and were inhaled by family members. Many of those who developed malignant mesothelioma sued J-M for negligence and liability in multiple areas, including the manufacture, distribution, and use of products known to have a high potential for serious injury. They also accuse J-M of failure to provide safety instructions and equipment, of neglecting to truthfully report results of product testing and medical studies, and of continuing the use of asbestos when alternative materials were available. J-M eventually filed for bankruptcy protection in the 1980s. However, the consequences of the asbestos contamination of Marrero will live on indefinitely for families of past victims and for the victims who are not yet diagnosed. Johnson & Johnson was handed a jury verdict for $72 million this week in the case of a woman who died from ovarian cancer. She, and dozens of others, sued the company in the St. Louis Circuit Court in a case alleging that use of talcum powder, also known as baby powder, increases the risk of ovarian cancer. Is talcum powder a carcinogen? Up to approximately 1980, asbestos contaminated talc was commonly used in talcum powders. Modern day powders often are no longer talc based. However, asbestos diseases have a 30 to 40 year or longer latency period. Accordingly, women or children who frequently used talcum powders 30, 40 or 50 years ago could be at an increased risk for the development of certain asbestos related diseases. Whether talc should be among the minerals commonly described as “asbestos” has been a point of contention going back to at least the early 1970s. Hot Dogs and Asbestos in Same Hazard Category? Last week the World Health Organization (WHO) and their International Agency for Research of Cancer (IARC) released a statement classifying processed meats as Group 1 carcinogens. Numerous headlines covering this story reported “Processed Meats and Asbestos in Same Category.” Can this really be true? “Asbestos and hot dogs are not even in the same hazard universe – not even close,” says Dallas asbestos lawyer, Ben DuBose. “Asbestos has long been a Group 1 carcinogen,” says DuBose, “and now WHO has found processed meats to be a Group 1 carcinogen, but that does not mean they are equally dangerous.” Indeed, the Group 1 classification only describes that cancer has been associated with an agent – the classification does not assess the level of risk or potency presented by the toxin. Brief, low level asbestos exposures have been established as causing asbestos-related cancer. NIOSH and other health agencies determined in the 1970s that there is no safe level of asbestos exposure. Even short, low dose asbestos exposures have been established to cause mesothelioma, an asbestos cancer. What needs to be kept in perspective with this announcement, is that the comparison to the toxicity of meat consumption versus tobacco use and asbestos exposure is at opposite poles of the spectrum. The WHO published their estimation of cancer death causes worldwide with the following numbers: Processed meats – 34,000, red meat – 50,000, pollution – 200,000, alcohol – 600,000, and tobacco – 1 million! In terms of toxicity, asbestos is even deadlier than tobacco. The message is to eat sensibly – processed meats only occasionally and red meat only up to three servings a week. Quit smoking, and avoid exposure to environmental toxins – such as exposure to loose asbestos on the job or in household renovations. Buy local, organic, farm-raised meat and vegetables when at all possible to avoid pesticide poisons. Be aware of what you put in, on, and around your body as you endeavor to live a healthy life. Fedor Zarkhin, writer for The Oregonian|OregonLive, wrote an article, “Unsettling dust: Hundreds of Portland homes demolished with asbestos inside,” this week. It exposed poor demolition practices in the tear-down of hundreds of Portland homes. While Oregon regulations require asbestos removal by licensed contractors, the rules are weak and few contractors even know they exist. With virtually no oversight, regulators are unaware when rules are broken. In one neighborhood, Heather Dickinson saw the home next door torn down creating a dust cloud that entered her home and spread over the area. None of the workers wore respirator masks. Only because she reported this did any regulators know of the problem. It was discovered that hundreds of square feet of asbestos flooring and insulation were inside the destroyed home. This hidden danger was not unusual. Contractors tore down hundreds of Portland homes without proper asbestos removal—most homes were never even tested. Yet, asbestos is the factor in many lung cancers and in mesothelioma, a deadly disease. These tiny asbestos fibers float through the air and are inhaled by those who work or live around them. Complaints from the construction industry have caused the Department of Environmental Quality (DEQ) to ignore abuses, even though the DEQ was aware of them. In 2002, an effort to improve asbestos oversight never materialized. Since then, approximately 650 homes with asbestos are torn down annually, meaning thousands were demolished in the past 13 years. The lackadaisical attitude is also exhibited by a vacancy in the asbestos inspector position for the Portland region throughout the past three years.